The RSPCA has launched a public appeal after an apparent wildlife killing spree was discovered in Chepstow, Monmouthshire. The 'horror film' collection of dead animals included a decapitated deer, as well as Canada Geese, Eurasian Teal, Mallard and two unidentified birds of prey. The grim discovery was made on New Year's Day, with RSPCA Cymru urgently appealing for information and details on the apparent killings. The gory discovery was made on New Year's Day, with the RSPCA believing the animals were dumped from a passing vehicle (RSPCA). Shockingly, a decapitated deer and its severed head, as well as a separate deer skin and rib cage, were also found at the site. The location – St Pierre – is very close to the A48 and the RSPCA believes it's likely that the animals were dumped from a vehicle having been poached, killed for sport or gruesome entertainment. 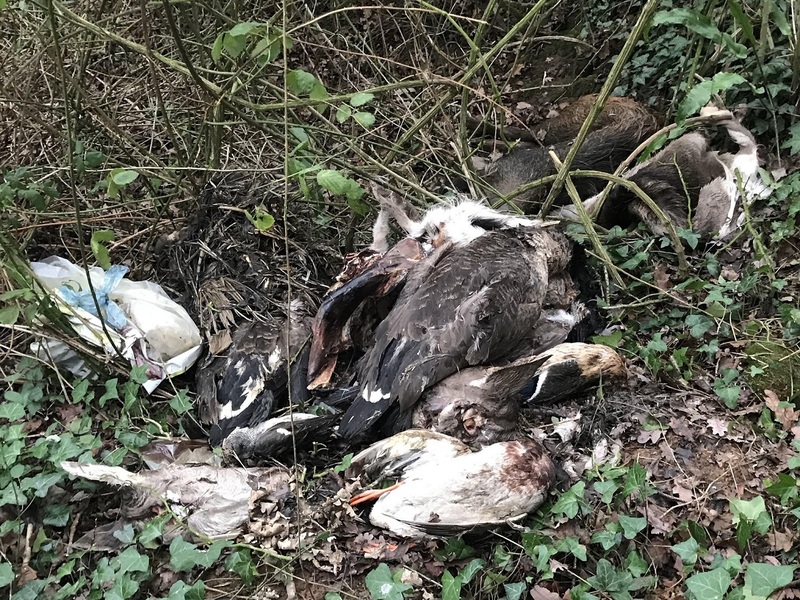 Sian Burton, RSPCA Animal Welfare Officer, said: "This site at Hayesgate was like a horror film with a pile of dead wild animal bodies, and body parts, strewn across the floor. A deer carcass, removed deer head, separate deer skin and rib cage have all been found, as have two Canada Geese, two Mallards and what I believe to be a bird of prey. "It was so sad to witness this pile of dead bodies. It seems very likely that someone has gone on a killing spree and taken the lives of these animals for so-called sport or entertainment, and dumped them here. "We're urgently appealing to the local community for information. This is a rural location - and we're hoping somebody witnessed something, or can shed any further information on what happened to these poor animals." Anyone with information is urged to contact the RSPCA inspectorate appeal line on 0300 123 8018.